The P-square brothers Peter and Paul Okoye, might have gone their separate ways and they are already doing their solo music but that has not stopped the families from being happy. Things might not be going well with them career wise but when it comes to laying good foundation for the family, they are up to the task. 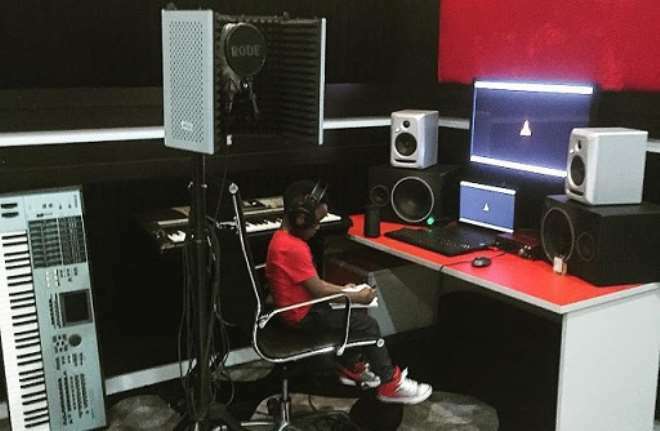 Recently, Paul Okoye, shared a picture of his son, Andrew in the studio, already learning the rudiments of music production just like his father and he hopes to toll his father’s direction. Just like Paul confirmed, "Young king #studio #teachingthemyoung"